LAKE LOUISE, ALBERTA- Canada – Whether you’re an expert rider or have never been on the back of a horse before, our backcountry riding adventures in Lake Louise offer the best way to experience Banff National Park in beautiful Alberta, Canada. Let our tame, experienced horses show you the best of Canada’s number one national park. We offer a wide range of awesome horseback riding adventures in a place we’re fortunate to call home: the Canadian Rockies! Our Destination Lakehead ride travels along the northwest edge of the Lake through a century old sub-alpine forest of spruce and fir trees. As we travel to the end of the Lake, Mount Fairview can be seen to the east, with Mount Victoria to the south. The emerald color of the Lake can be seen through the trees as your ride progresses. At the end of the Lake our final destination, you can look back to view the Chateau Lake Louise and have the opportunity for memory lasting photos. Known as one of the most popular trails in the Canadian Rockies, our Lake Agnes teahouse ride will climb to an elevation of 7000 feet to a tarn nestled in a valley high above Lake Louise. This historic mountain teahouse, named after the wife of Canada’s first Prime Minister, was originally built in 1901, and rebuilt in 1981. Fairview Mountain. As the trail climbs steadily to your teahouse destination you will soon view the base of Big Beehive Mountain and Mirror Lake. Mirror Lake is often referred to as “the goat’s looking glass” as mountain goats still populate this area. Climbing above Mirror Lake, the massive peaks of Mount St. Pirah, Mount Aberdeen and the glacial peaks of Mount Temple will all come into view. Mount Temple is the third highest peak in Banff National Park at 11,500 feet high. The mountain trail ride to the Plain of Six Glaciers is a continuation of the trail that takes you to the end of Lake Louise. We travel to the base of Victoria Glacier where you can view numerous breathtaking glacial fields and Mount Victoria. The trail travels beneath spectacular rock faces and through sub alpine forest and across large avalanche paths along the slopes of Mount Whyte. We next travel to a viewpoint where the ‘plain’ can be viewed. This is a long glacier at the base of the lower Victoria Glacier. From horseback you will view six other glaciers including Lower Victoria, Upper Victoria, Aberdeen, Lefroy, Upper Lefroy and Popes. The splendor that is Lake Louise was created by the flow of these glaciers millions of years ago. Traveling the last leg of your trip your guide will take you to the Plain of Six Glaciers Teahouse, built in 1924, at 7000 feet as a base for Swiss Guide mountaineers. This trail gives you grand views of Lake Louise and the lower valley floor as you descend in elevation. at 9:00 am and travels along the east side of Mount Fairview. You ride through alpine forest and gradually climb through a tree line forest of Larch. Larch trees grow only at tree line and normally only above 7000 feet. The needles on these trees turn a golden yellow in the fall or late summer. As we approach Temple Mountain we turn on to the trail to Lake Annette where we have our lunch stop. We continue on the High Line Trail going by the Giant Steps Waterfall. This is an amazing high alpine ride and a special place in the Canadian Rockies. It’s the longest day ride at our Lake Louise Stables, suitable for intermediate to experienced riders only, and includes a nutritious lunch. Travel to both Lake Agnes and Plain of Six Glacier Tea House along the High Line Trail: A ride that allows you to visit both mountain teahouses and travel the famous High Line trail. On this ride you get the experience of both teahouse rides in one day. Book Your Lake Louise Riding Adventure Today! Our unforgettable backcountry riding adventures in Banff National Park let you experience the magic and beauty of the Canadian Rockies like you’ve never seen them before. 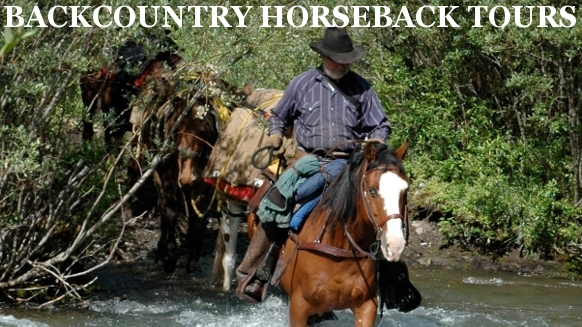 We offer fabulous horseback riding tours in Banff and Lake Louise for beginner, intermediate and experienced riders. Call or email us today and book your tour! Hourly trips are available at $50 per person – please inquire about the schedule. Based on availability; All times are approximate.